Remember: Tuesday, Sept. 4 is the day after Labor Day and the first day of school in Needham. Do you need a ride to your polling location (Needham only) on Tuesday, Sept. 4? 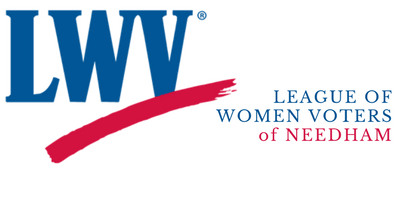 Contact the League of Women Voters of Needham by email (president@lwv-needham.org) or phone (781-343-1031). Leave a message with your name and phone number by 6pm Monday evening. Someone from the League will call you back to make arrangements. Am I registered? Affiliated with a party? What’s on my ballot? In Massachusetts, all registered voters may vote in the primary. A voter who is affiliated with a political party can vote only in that party’s primary. If a voter is unaffiliated with a political party, he or she may vote in the primary of his or her choice, just request Republican or Democrat ballot when you get to the polls. Check your party affiliation. The deadline to register and change your party affiliation for the Sept. 4 primary was August 15. You can determine your polling location by entering your address into this online tool from the Secretary of the Commonwealth’s website. You can also view what’s on your ballot and who your current elected officials are. Polls are open from 7am to 8pm. Absentee ballots must be received by 8pm on Sept. 4. Party nominees for all statewide and district offices. Sample ballots for Needham are posted on the Town Clerk’s elections webpage. Note there are separate ballots (different colors) for Democrat, Republican, and Libertarian parties. Also, because our town has two State Senate districts, there are different ballots for precincts A,B,C,I,J and precincts D-H.
What are the contested primaries (more than one candidate for the nomination)? Republican—Statewide US Senator Governor Attorney General Republican—District None Democrat—Statewide Governor Lieutenant Governor Secretary of State Democrat —District Representative to US Congress State Senator (Needham precincts A,B,C,I,J) State Representative. August 15 was the deadline to register to vote, change your address, and/or change party affiliation. Democratic party nominee in the US House of Representatives. Joe Kennedy, the incumbent, will face challenger Gary Rucinski. There is no Republican primary candidate, so this primary election will decide who our Representative to Congress will be. LWV-Needham and other Leagues held an in-studio candidate forum for this race on August 10. The forum is available on demand at this site (on the right) and will be shown on the Needham Channel. Democratic party nominee for State Representative. Denise Garlick, the incumbent, will face challenger Ted Steinberg, both from Needham. There is no Republican primary candidate, so this election will decide who our State Representative will be. LWV-Needham held an in-person candidate forum for this primary race on Monday, August 13 at 7 pm at the Needham Public Library. The Democratic party nominee for State Senate (precincts A, B, C, I and J). The candidates are: Kris Aleksov of Wayland, Jackie Katz of Norfolk and Becca Rausch of Needham. These candidates will also participate at the August 13 candidate forum. The winner will face incumbent Richard Ross, who does not have a challenger in the Republican primary. These candidates also met at the August 13 forum (see post on the right to view the event). The last day to apply for an absentee ballot for the State Primary was 5 PM on Friday, August 31. Absentee ballots must be received by the close of polls (8:00 pm) on Election Day. Questions about voting in Needham should be directed to the Needham Town Clerk’s Office 781-455-7500, ext. 216, 218, 219, 252.